Integrated Multidisciplinary Research – To clarify the complex field of psychiatric genetics, the figure below illustrates the general conceptual framework around which our research and training programs are organized. Polymorphisms in the genome and environmental exposures repeatedly combine at the molecular level to generate individual differences in brain structure and function. These differences manifest as psychological traits and states, primarily systems involving fear, reward and punishment, decision-making and cognition. At the extremes of individual differences, potentially including system failure, psychiatric diagnostic thresholds are reached. Throughout the process, feedback loops involving environmental agents (either positive or negative) further influence gene expression, brain structure and function and ultimately mental health and other outcomes. This complex system is extremely challenging to study, but tremendous opportunities exist both within and between its components. Our training program is designed to provide an integrative training across all parts of the system, together with specialization in at least one primary substantive or methodological area. It is our experience that extensive research training in one substantive or theoretical domain, coupled with a broad exposure to the findings and methods of other areas provides the most solid foundation for a future career as an independent research scientist. For example, a geneticist who is familiar with the assessment of depression will be better able to analyze GWAS data using an appropriate range of phenotype definitions than one who has studied Mendelian or molecular genetics alone where the focus is traditionally on a single ‘true’ phenotype. The focus of the pre-doctoral training is obtaining a PhD. We continue to accept Human & Molecular Genetics, Psychology and Biostatistics students who have a special emphasis on quantitative or psychiatric genetics. Given that the degrees are obtained within the established programs in the Departments of Human and Molecular Genetics, Psychology and Biostatistics, graduate students entering this training program have to fulfill the requirements of their respective departments. Psychiatric Behavioral and Statistical Genetics – Our custom-designed PBSG PhD program is an ideal source of trainees for the NIMH training program, because the courses have been added and designed to precisely fit our integrated training needs. Students are required to earn a minimum of 54 hours of graduate-level credits (32 in core and elective courses, and 22 in directed or dissertation research). The core courses include among others: a two semester introduction to human genetics; an introduction to R programming for statistical genetics, a two semester introductory sequence on statistics for genetic studies, epidemiology and assessment of psychiatric & substance use disorders, concepts and principles of behavior genetics, advanced quantitative and statistical genetics (for both genetic epidemiological and gene association studies); grant writing; and scientific integrity. These courses are primarily taught by VIPBG faculty. We have standardized statistical courses around the R programming language as far as possible. Instruction in the use of specialized software, including: PLINK, PLINK/SEQ, Haploview, GCTA, minimac, mach, GotCloud, EPACTS, Merlin, QTDT, Rare-Metal, JAG, Jamp, Tates, Sgene, KGG, KGGSeq, pspp, PennCNV, xhmm, Eigenstrat, BayeScan, Rplinkseq is also available. This field is rapidly changing, so course and seminar content is frequently updated. Specialized tutorials to reinforce application of new materials presented at international workshops, which trainees are encouraged (and funded) to attend also supplement statistical genetics education. In addition to the core course work, elective courses, seminars, individualized teaching and directed reading are determined in consultation with the PhD advisor. Graduate students are also encouraged to attend VIPBG and other pertinent seminars and journal club meetings. In most cases, four to five years of full-time study are necessary to fulfill the requirements. The majority of the course work is taken during the first two years, to allow the students to focus on their dissertation thereafter. Our curriculum is designed to set the tone of a life-long research career by developing the student’s knowledge of the field, and skills in writing, laboratory techniques, critical thinking, study design, data analysis and interpretation, literature research and review and integration of data from multiple disciplines. Human & Molecular Genetics – The Department of Human & Molecular Genetics currently has 20 graduate students enrolled. Students working toward the PhD degree pass through two stages of graduate study. Within the Human & Molecular Genetics PhD program there is a recognized ‘Quantitative Track’ which is recommended for students with an interest in psychiatric or behavioral genetics. Students who enter the quantitative genetics track are situated at VIPBG. The course of study requires taking three advanced courses in quantitative genetics and two of three non-quantitative genetics specialty courses (clinical, biochemical-molecular, or cytogenetics). The minimum requirement is 36? credit hours. 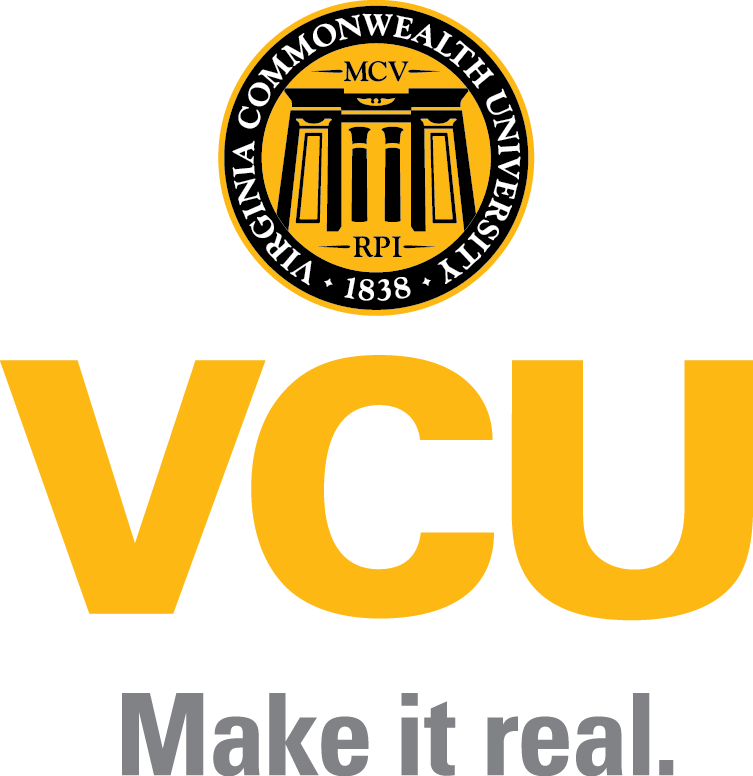 Psychology – The Department of Psychology at VCU presently has over 150 graduate students enrolled. The Department offers five different tracks of graduate study: Clinical; Counseling; Developmental; Social; and Biopsychology. The psychology program is empirically based and is centered on the theme that state-of-the-art etiological, explanatory assessment, and treatment models for psychopathology should be broad enough to incorporate a wide range of biological, psychological, and sociological components, and therefore require a ‘biopsychosocial’ perspective. This theme is consistent with both the clinical training in the Department of Psychology and the research and training at VIPBG. Psychology graduate students have a heavy course load (90+ credit hours), leaving less time than desired for directed research, especially during the first three years of the program. Clinical psychologists also have an internship requirement, although this can be partly satisfied by project-related clinical duties at VIPBG. Biostatistics – The Department of Biostatistics typically has 16 to 18 full-time students enrolled in its graduate program. The majority of these students are PhD candidates. Course work requirements are less demanding (56+ hours for a doctorate) than for Psychology, though there are also consultancy requirements. The department collaborates in biomedical research with other departments at VCU. Its faculty are nationally recognized for their biostatistical work in the areas of clinical trials, pharmacology and toxicology. The primary focus of postdoctoral training is the development of research skills. For the psychiatric and statistical genetics program there is an emphasis on a broad exposure to psychiatric genetic methods together with detailed study in one or more areas that would lead to publications and grant proposals. Core Postdoctoral Training involves supervised research under the mentorship of an experienced scientist. As postdoctoral trainees may have a variety of PhD degrees (e.g., psychology, genetics, biology, mathematics), their directed research training may have to be supplemented by formal course work or directed reading. In consultation with their primary advisor, trainees develop an individualized training program. The exceptionally rich academic environment and the wealth of funded research projects and datasets allows the trainees to select specific research projects. Supervised training under the guidance of one or more mentors constitutes 70-80% of the postdoctoral training and prepares the trainee to develop the research skills and write the first-author publications necessary to develop a reputation as an independent research scientist. In addition to the research activity and formal training, professional development of trainees is encouraged by i) attendance and presentation at major scientific meetings (e.g. American Society for Human Genetics, International Society for Psychiatric Genetics, Behavior Genetics Association, American Psychological Society) and introduction to major researchers in their fields; ii) involvement in national or international collaborations with other researchers; iii) assistance in the review of papers for journals; iv) involvement in all stages of the process of research grant development and submission, including discussion of research ideas, formulation of aims, literature review, pilot and preliminary studies, authorship, and human subjects applications; v) review and provision of feedback on first-author papers that trainees prepare for publication; and vi) presentation at research seminars. Research Training – The primary emphasis in the program is on the application of quantitative methods to substantive psychiatric research questions. This includes detailed knowledge of the design and analysis of genetically informative studies of all types: twin, family, adoption and molecular genetic. There is also extensive use of simulation to establish the validity and efficiency of new models and methods. Some students follow a quantitative/behavioral program, while others pursue a molecular track, focusing on theory and application of models for quantitative trait or major loci. There is a trend towards more studies of the latter type both at VIPBG and nationally, and the training program is developing in the same direction, particularly with the advent of GWAS association and CNV data. However, students are exposed to both areas and are expected to be adept in both. Training is through seminars, tutorials, selected readings, attendance at lectures in other departments. The program is individually designed for the student, in accordance with their interests and chosen specialties, by the mentors, tutors, and the trainee themselves. In addition to the exposure to the theory of statistical methods, there is strong emphasis on hands-on data analysis. Standard software packages in use include: R, SAS, Sudaan, Mathematica, OpenMx, MPlus, PLINK, PLINK/SEQ, Haploview, GCTA, EPACTS, Merlin, QTDT, Rare-Metal, JAG, Jamp, Tates, Sgene, KGG, KGGSeq, pspp, PennCNV, Eigenstrat, BayeScan and Rplinkseq; others are adopted as required. There is the possibility of a rotation in the VIPBG molecular genetics laboratory, to supplement the general introduction to the area provided by research seminars and optional courses in microbiology. VIPBG Seminar Series – The weekly VIPBG seminar takes place on Thursdays, and is attended by faculty, postdoctoral and predoctoral students along with interested faculty and students from other departments. There is emphasis on communicating the mathematical and statistical aspects as clearly as possible, due to the diverse backgrounds of the audience. This clear communication also encourages appropriate analyses and applications by others. Further seminar-based training occurs at informal journal club and postdoctoral seminars take place. There is often about 50% hands-on component to these seminars, so that trainees learn both what the statistical methods do, and exactly how to apply them. Trainees usually undertake supervised readings of current or especially pertinent articles and books. Departmental Seminars & Courses – The Department of Human & Molecular Genetics runs a weekly seminar series. More formal presentations are given at Psychiatric Grand Rounds. The Departments of Psychology, Biostatistics, Computer Science, Microbiology, Pharmacology and Toxicology, Physiology and Biophysics, and Mathematics also run weekly research seminars, at which VIPBG pre- and postdoctoral trainees are welcome. Active participation by the trainees at the various seminar series is strongly encouraged, both as member of the audience, and as a presenter. A wide variety of statistical and data analytic courses are offered in the Departments of Biostatistics, Mathematics, Computer Science, and Statistics. The Psychology Department teaches a large array of courses pertinent to psychiatric and statistical genetics. Choice of these depends on the educational background of the postdoctoral trainee. Clinical Exposure – Both pre-doctoral and postdoctoral trainees gain first-hand experience of clinical psychiatry through participation in walking and sitting rounds at MCV. The main focus is in affective and psychotic disorders; the trainees join the teams led by VCU Psychiatry clinical faculty for experience with both in- and out-patients. Experience to chronic patients is obtained through visits to the Central State Psychiatric Hospital, with which VCU has close ties. Trainees are paired with clinical faculty with specialties aligned to the students’ primary areas of study. Informal Meetings with Faculty – Informal meetings occur weekly or more often as necessary and address specific research and educational issues with the candidate. Grant Writing Training – Primary training occurs through active participation in all stages of the grant writing process with their mentors and tutors. Selected readings are used to augment this experience. In addition, trainees attend a formal course which explains the elements of writing successful proposals as well as all the administrative and signatory requirements of the university. Admissions Criteria – All applicants must have American citizenship or immigrant alien status. For additional information or questions, please contact Hermine Maes, Ph.D..
Funding includes health insurance and a stipend. Graduate student stipends for the NIMH training program generally meet or exceed NIH levels.